NASA Is Recruiting Farmers, Teachers, And Technicians To Explore Mars -- Partial Disclosure? (Stillness in the Storm Editor) For those well versed in Ufology and the claims of whistleblowers, the notion of a Mars colony is well established. Several alleged insiders have come forward revealing that they were recruited to go to Mars to start a colony there. Laura Magdalene Eisenhower, Randy Cramer AKA Captain Kaye, Andrew Basiago, as well as several others all claim to have either been recruited by the military-industrial complex to serve in secret Mars bases or actually did perform active duty on the red planet. And then we have the testimony of Corey Goode, who claims to have worked in a secret space program known as Solar Warden from 1987 to 2007. Goode also claims to have inspected an active production facility on Mars owned by the Interplanetary Corporate Conglomerate, a nefarious group supposedly operating a huge network of bases, outposts, and fleets within the solar system and beyond. Goode also claims that a series of peculiar dust clouds seen above the Martian surface in early 2015 were actually some of these Mars bases being destroyed by an alliance working to overthrow the Cabal-run secret space programs (SSP). Of course, there is no direct evidence to support any of this; yet one interesting point offered by Goode is that the Cabal-run SSPs plan to perform a limited or partial disclosure of extraterrestrials, secret space programs, and more. Perhaps NASA's recent effort to recruit future Mars-bound astronauts is part of this limited disclosure scenario. 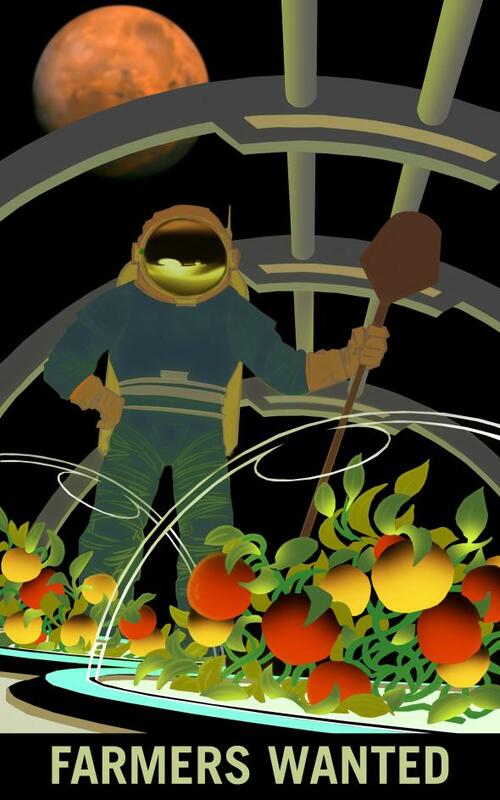 NASA is hiring farmers who can bring their farming practices to Mars. Teachers, technicians, and surveyors are also sought. It’s official: Sometimes after the year 2030, the American space agency NASA will begin hiring farmers, teachers, explorers, and surveyors to bring their skills to planet Mars. It may not be everyone’s gig, but for the right space adventurers, it could be the journey of a lifetime. News Everyday relays that the space agency is attempting to entice travelers to sign up by selling the job as an opportunity to “hike the solar system’s largest canyon, Valles Marineris on Mars.” Each person will also get to see the blue sunsets and the two moons of the red planet – Phobos and Deimos. Of course, there are some cons to taking the job, such as enduring space commutes which are years long (or possibly dying). But, one would imagine, the opportunity could be worth it. 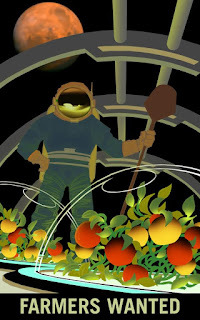 To entice people – young and old – to consider the opportunity, NASA actually released a series of retro troutism-style posters in 2009. They were first displayed at the Kennedy Center, but they’re now more relevant than ever. Elon Musk is already considering ways explorers might transform Mars into a planet like Earth, and his plan involves dropping thermonuclear bombs on the ice at the planet’s poles. You can read more at IFLScience.com. July 22nd, 2016: Grammar correction was made to the introductory text.